Choosing the right clinical trial travel partner suited to your requirements is fundamental to ensure the overall travel process runs smoothly and successfully. The cost of travel and any possible travel disruption can often be daunting and costly to a business, both in terms of valuable staff time as well as the challenge of sourcing appropriate and inexpensive travel alternatives. We look at the key factors to consider when choosing the right clinical trial travel partner for you. The necessity on focusing on unique capabilities and expertise is what makes external partners stand out. Look for a trustworthy partner who specialises in an efficient expense management strategy for clinical trials. Some Travel Management Companies (TMCs) effectively have hidden transaction fee details in the corporate travel process. The transaction fee should always be spelled out clearly, so don’t be afraid to ask for an audit breakdown of all costs. If your travel partner refuses to comply, you have the right to question what information they could be hiding. If the travel partner you are enquiring with refuses to respect your queries, then maybe it’s time to look elsewhere. 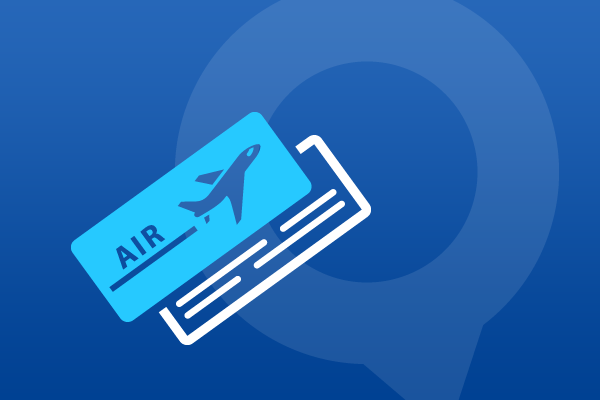 The overall hidden fee problem leaves corporate travel departments with incomplete data to prove they have met airline contractual agreements and to negotiate new agreements. In time, this can lead to higher fares being paid by the company. It is important to ensure your clinical trial travel partner can respond quickly and efficiently if any travel disruptions were to occur, ensuring the patient makes it to their destination safely or can be taken to safety as quickly as possible. The experience of air travel can be extremely distressing with people who are unfamiliar with flying or for those who require special care and assistance whilst travelling. It’s vital that your travel partner works closely with patients and liaises with airlines and accommodation management through well-established partnerships to ensure the best service is provided. Not only should your clinical trial travel manager organise smooth travel of your trial patients, they should also arrange the safe shipment of the clinical trial materials. Patient information should remain strictly confidential whilst ensuring that deliveries meet your protocol requirements. With any clinical study, control is key. While information can be both complex and sensitive, always aim to choose someone who uses coded billing/reporting systems to guarantee patient confidentiality and trial integrity at all times. Knowing your billing services are being correctly and successfully managed is fundamental. Ultimately, trusting in your external travel partner’s aims, services and compliancy values ensures peace of mind for business’s and patients alike. Ensuring that patient confidentiality is secure is an integral factor when choosing your travel partner. From long-distance travel to busy schedules disrupting routines, participating in a clinical trial can be very difficult for patients. The key in choosing the right travel partner for you is in the steps you take assessing the experience and values partners have and how they can work for your trial and patients alike. This is crucial to minimising any potential risk during the full clinical trial process. For more information on a patient-centric clinical trial service, please get in touch.